​Prevent the structure from collapsing as long as possible. Good to see setting the nickname worked out. Thank you kartezjusz2009, for taking the time to test again. Yes it is possible to set your nickname: By clicking on the pen icon left of the textbox where you can enter chat messages. When you click on the pen icon, a new input box appears in which you can enter your nickname. Now that you mention it, I think this needs to be more obvious. I added a backlog item to add a tooltip to this button to clarify its function. Thank you for drawing attention to the broken player profile links. I added fixing this to the plan for the next iteration. 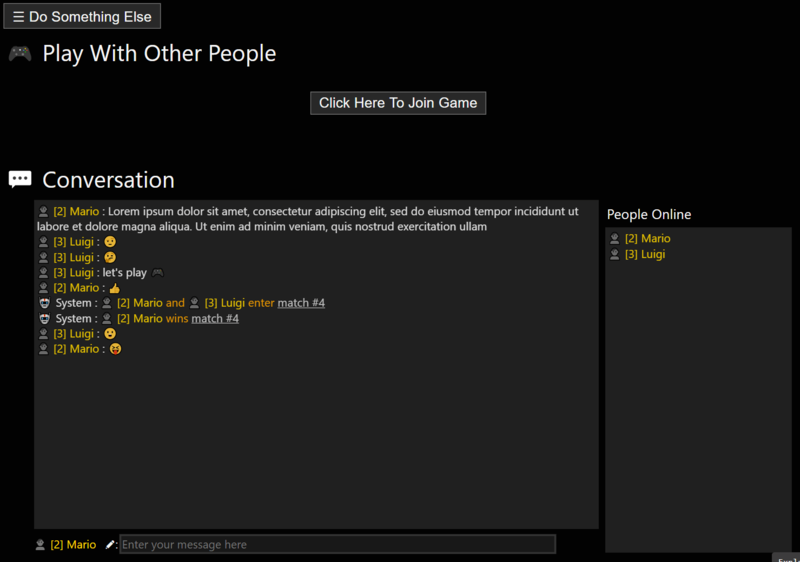 I am currently working on migrating the lobby, online games, leaderboard and player profiles to a new platform. Because of this infrastructure change, I have to finish some other tasks before I get to fix these issues, but I guess the new update with those fixes will be available in December. I will make sure to post a new devlog entry here on itch.io then. Sure, I would be happy to meet for a match. When do you have time? If I see correctly, you posted between 12 and 15 UTC in your last posts. I am usually at work this time of the day from MO-FR but I could come online this time on a weekend. One question about the guest-mode you have in mind: Does it support exchanging text messages between players? I had a look at the link to Kongregate. I do not have the software installed here they ask for on the Kongregate page, so I was not able to see any multiplayer functionality. Which browser did you use when seeing low FPS? I will take a closer look at FPS (and CPU utilization). The game is in development, so FPS are going to improve. Thank you also for the suggestion of a multiplayer guest-mode. Maybe this feature can be added, I am not sure how it could work exactly. The descriptions for Impressions and CTR confuse me. When I hover the mouse over the numbers in the dashboard it describes the timespan as "over the last week" and this article says "these only account for the last 2 weeks of data". To me these two seem contradictory. To conduct the experiments you write about, it would be useful to have the uncertainty about the timespan the data is coming from reduced to calendar days. Very nice graphics and smooth gameplay. itch.io Community » itch.io » Questions, Ideas & Feedback · Posted in Can I see/download my project's entire analytics? Hi there, great job showing of these nice assets! I most like the jungle mockup. "Due to excessive forum spam we put a hold on forum access. You need to have an account for 24 hours as well as have at least 6 points in the gallery site to login to forum."